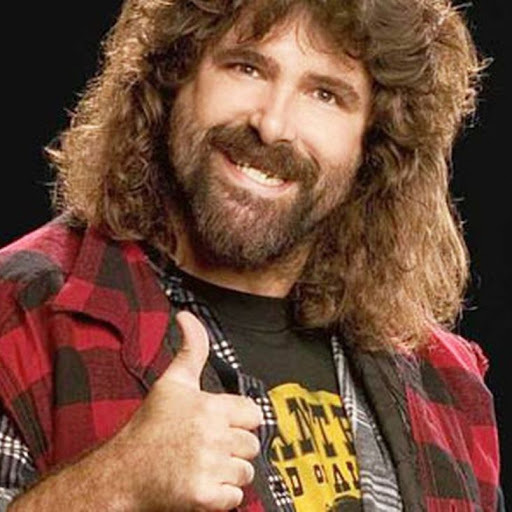 Ahead of the return of the WWE Halftime Heat special, which airs during halftime of the NFL Super Bowl this evening live on the WWE Network, Mick Foley reflects back on his participation in the 1999 installment of the show, which featured him competing against The Rock in their infamous "Empty Arena Match." "I think a year earlier MTV has had a lot of success doing Celebrity Deathmatch with claymation figures -- one of which was Stone Cold Steve Austin -- and they'd done a tremendous rating during halftime of the Super Bowl," Foley recalled. "I don't know when the idea came to Mr. McMahon to take that giant audience and kind of keep it for ourselves, but I do remember being asked about it -- and then it was my suggestion that The Rock and I do an empty arena match." Foley noted how different it was from anything else on TV and the risk WWE took by putting so much focus on himself and The Rock. "The fact that it was so completely different than anything on television was also indicative of the chances we regularly took, whether it was on the microphone or in the ring," Foley said. "Later on, [that] really led to great chemistry as a tag team. We were really rolling, and it was understood that The Rock was going to go on to bigger and better things -- one of them being a WrestleMania main event with Stone Cold Steve Austin." Since the match back in 1999 was taped, Foley was able to experience it on TV while he was in the airport. After convincing the lounge in the airport to change to the match, he found fans overall enjoyed it, except for one spot, hitting Rock with a big bag of popcorn. "I do remember really hustling through the airport to try to catch that match live [on USA Network], and so I walked into a lounge in the airport where some guys were watching the Super Bowl halftime," Foley recounted. "I convinced them to switch over to Halftime Heat. They were really getting into the match, up until I hit the Rock with a bag of popcorn. Up until that point I had been taking a pretty legitimate pounding at the hands of 'The Great One' and they were 'ooh-ing' and 'ahh-ing.' All of a sudden the popcorn [spot happens] and they turn to each other and go, 'That wouldn't hurt.' Maybe in retrospect I should've found a different devastating object to pummel him with."